Okinawa wall mirror has unique and simple round design. Its has a large inner mirror surrounded by many smaller mirrors in pebble shape creating a rare design. It will become the centre piece on any wall. 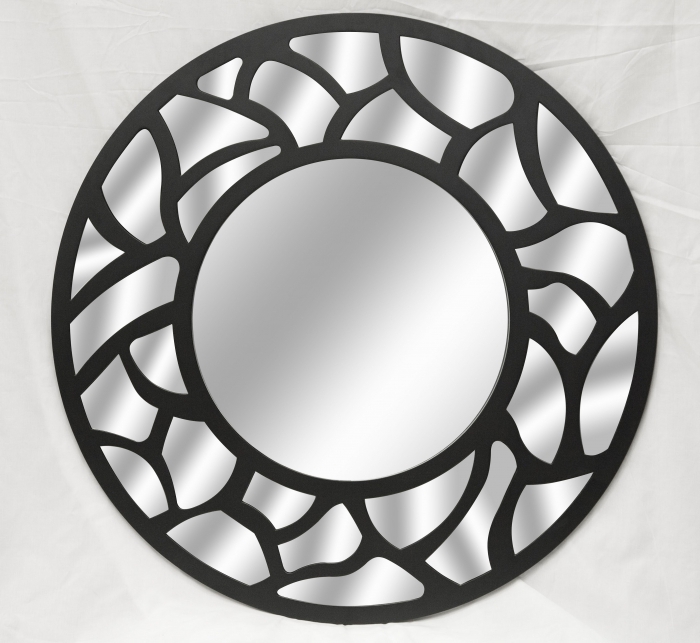 All the mirrors are held in beautifully crafted black color MDF frame. This mirror comes complete with 2 strong D shaped Metal hooks & adhesive sponge to perfectly fit on wall.